Following The Thread: Sewalongs, contests, and themes, Oh My! Sewalongs, contests, and themes, Oh My! I've had some fun joining in on projects and contests lately, but have been feeling like I just wanted to sew what I wanted whenever I wanted. I have a long backlist of things I want to try. But. 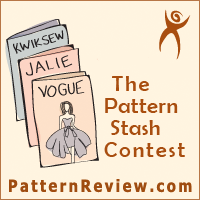 Pattern Review has just posted the rules & regs for their next contest, the Pattern Stash. Essentially, you can sew from any pattern that you've had in your stash pre-2014 which you've never used before. I have a basket that I keep my "I want to sew next" patterns in and it's beginning to overflow. So I have jumped in and signed up for this July contest. It doesn't start until July 1, and there are no pre-contest preparations allowed in this one, except for choosing your patterns and pre-washing your fabric. No muslins, no pattern fitting or prep ahead of time. Just wait for July 1, then GO! I've made a couple of skirts in May, and really want this to be my summer of skirts. So I'll be sorting through all of my older patterns to make a wishlist for July... and of course, I'll keep sewing in June! I'm working on a couple of projects I have cut out, and still want to finish tracing off the SBCC Tonic Tee and make it before the end of the month. I now have even more incentive to finish it up! I can completely understand what you are saying. Yes, sewalongs, ect. 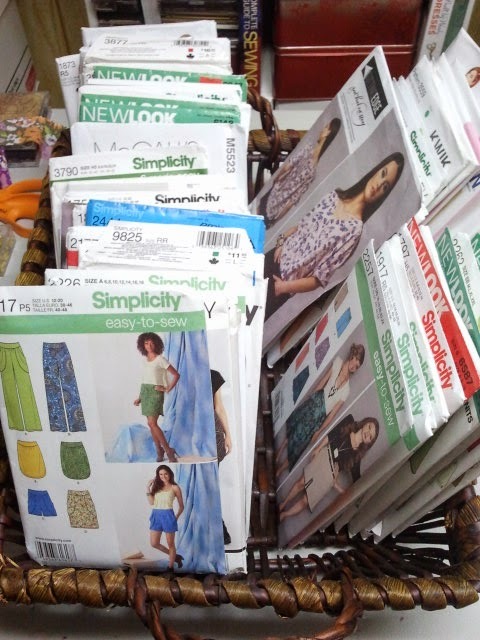 are fun, but after awhile it feels you are getting lost in not sewing what you want. Have been feeling the same, and wanting to join into several, but have decided not to for now. The sewalong a enjoy the most is Make a garment a month that Sarah Liz hosts....and plus it keeps me on point. Will have to check out the SBCC Tonic Tee looks like a great little basic tee. Best wishes to you and your sewing.